Over the past couple years, sugar has increasingly become the bane of the wellness world's existence—a figurative four-letter word, undesirable number one… essentially, pure evil. The diet world loves a dynamic villain, and after the fat and carb apocalypse, there was an opening. And thus, we welcomed sugar as a worthy target—pitchforks and torches in hand. So what are the charges? Well, pretty much everything, with sugar consumption being blamed for things like brain fog, inflammation, weight gain, and even sugar addiction. And for the most part, science and some of the industry's most knowledgeable nutritionists passionately back up the allegations. That being said, just as someone may react differently to gluten or dairy, or may require different quotas per day of fats and protein, physiologically speaking, some will react differently to sugar. The writing on the wall: If you have a particular genetic predisposition (or, as it's been so cheekily coined, "the sweet tooth gene"), you're more likely to crave sugar and, interestingly, you'll likely have less body fat—disproving the universal thought that an increase in sugar consumption tidily equates to an increase in body fat. 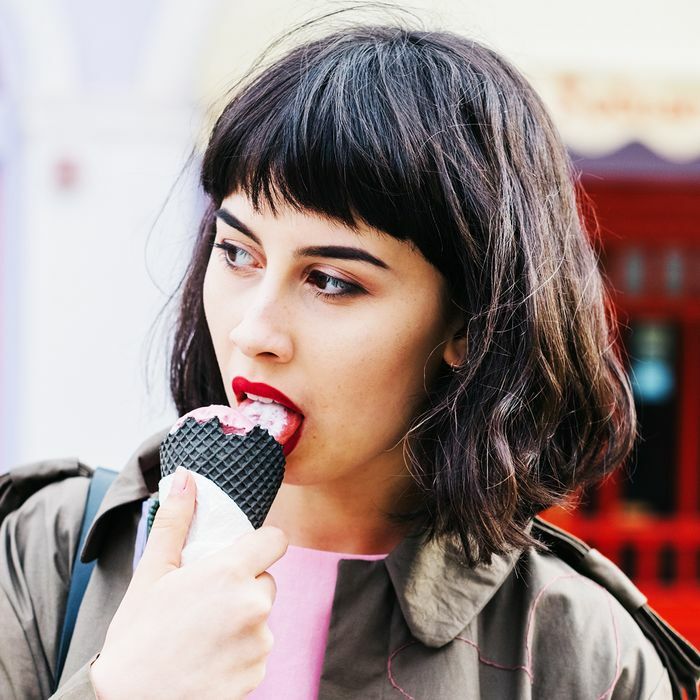 According to ScienceDaily, researchers discovered just last year that a certain kind of craving for sweets may be an indication for a specific genetic variation. And now, the same researchers have realized that the people with said genetic variation are also likely to have less body fat. "People with a gene variation of FGF21 have a predisposition to less body fat than others, new research conducted at the University of Copenhagen, among others, shows," reports the source. And according to one of the researchers behind the study, associate professor Niels Grarup from the Novo Nordisk Foundation Center for Basic Metabolic Research, this truly does go against common intuition—or at least the kind of common intuition society has ingrained in us. And yes, while less body fat is widely viewed as an indicator of better health, it doesn't paint the whole story, and the research reports people with the genetic variation are also more likely to have increased blood pressure and more fat around their waist versus other areas of the body (commonly referenced as the "apple" shape). "Now that so many people are involved in the study, it gives our conclusions a certain robustness. Even though the difference in the amount of body fat or blood pressure level is only minor depending on whether the person has this genetic variation or not, we are very confident that the results are accurate. Around 20 percent of the European population has this genetic predisposition," says Niels Grarup.